February 11, 2013 – Journey to my heart…. 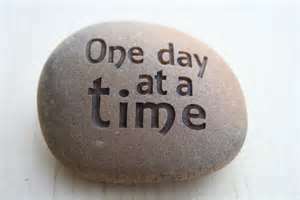 One day at a time sweet Jesus…. It is not just the grief journey that brings these words to my lips…. It is very much my new way of living…. If you find yourself easily overwhelmed with all you have unfolding in your life, I invite you to commit these words to memory and carry the song in your heart and the words on your lips…. Author trishborgdorffPosted on February 11, 2013 Categories Uncategorized1 Comment on One day at a time sweet Jesus….